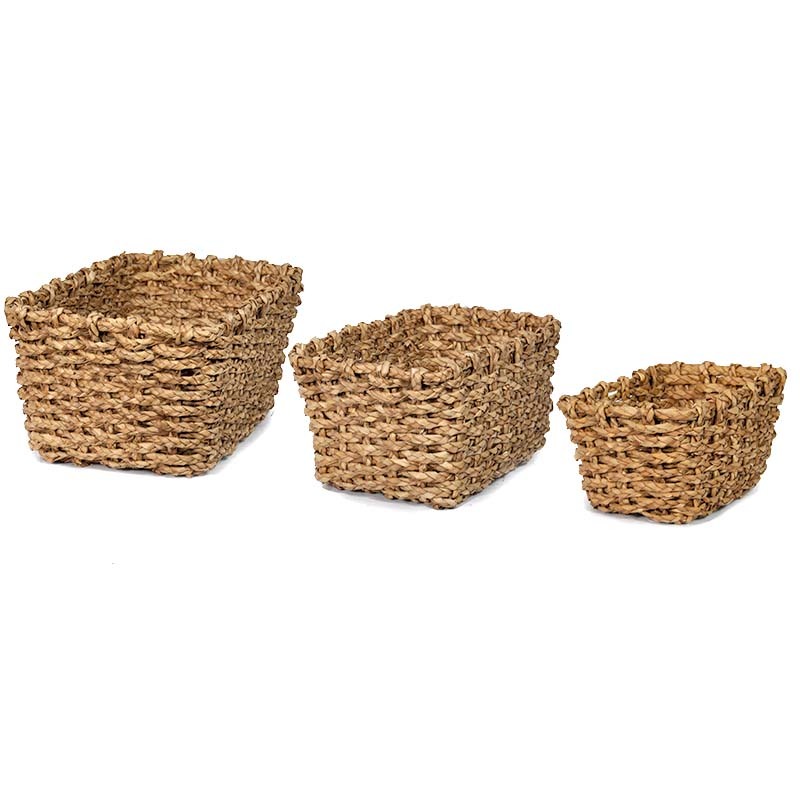 Del Mar Braided Natural Palm Rectangular Utility - Set of Three The Lucky Clover Trading Co. 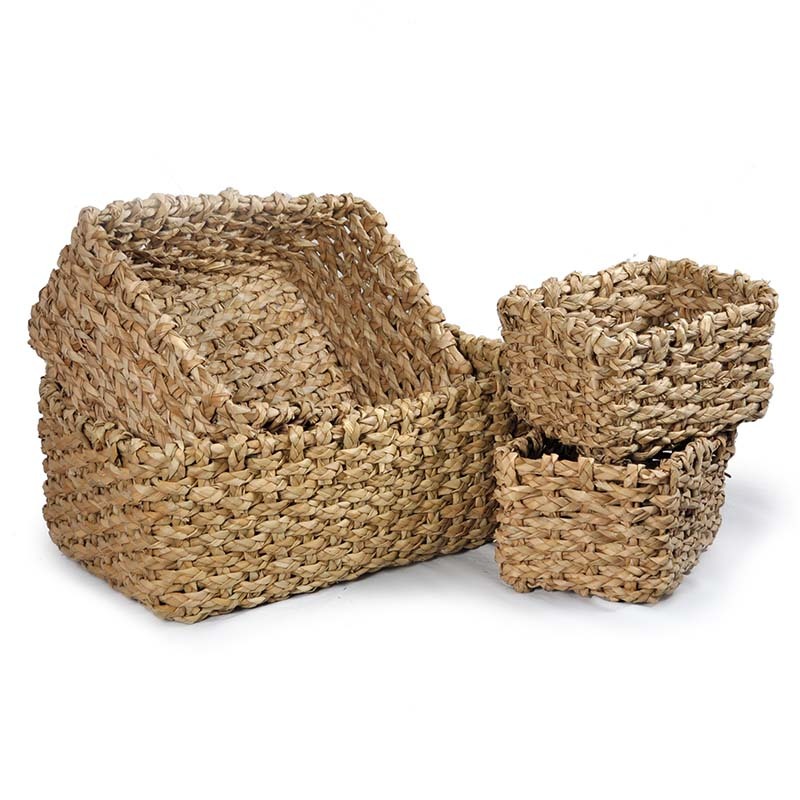 The intricately braided palm on this set of baskets makes this set a must have in your home. Organize a messy closet floor with the large basket. Use the medium basket to store onions and garlic and store in the pantry. Store lotions and perfumes in the smallest basket. The possibilities are endless! 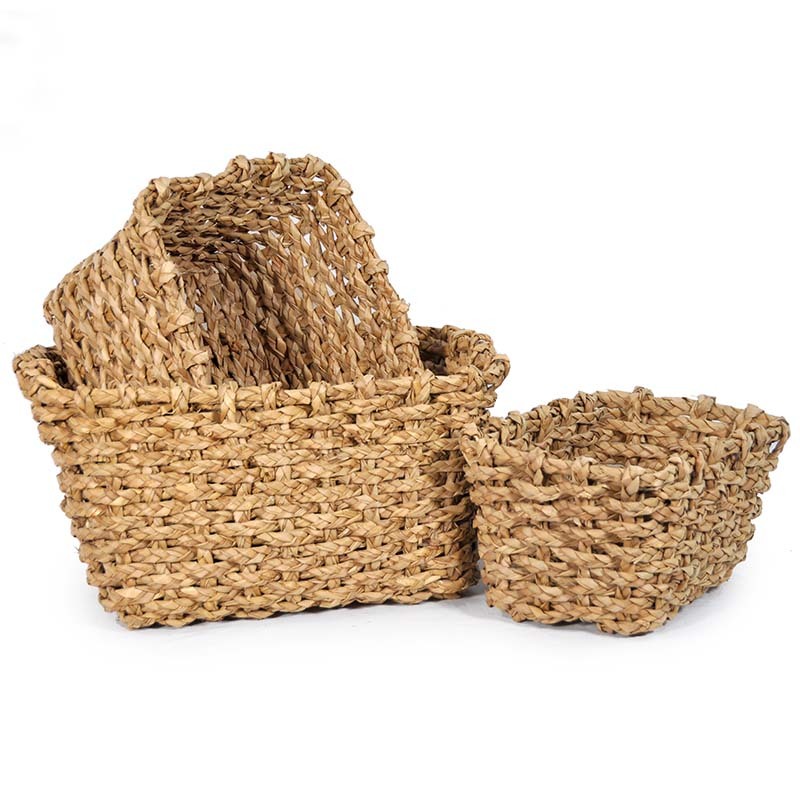 These baskets are available in a set of three. 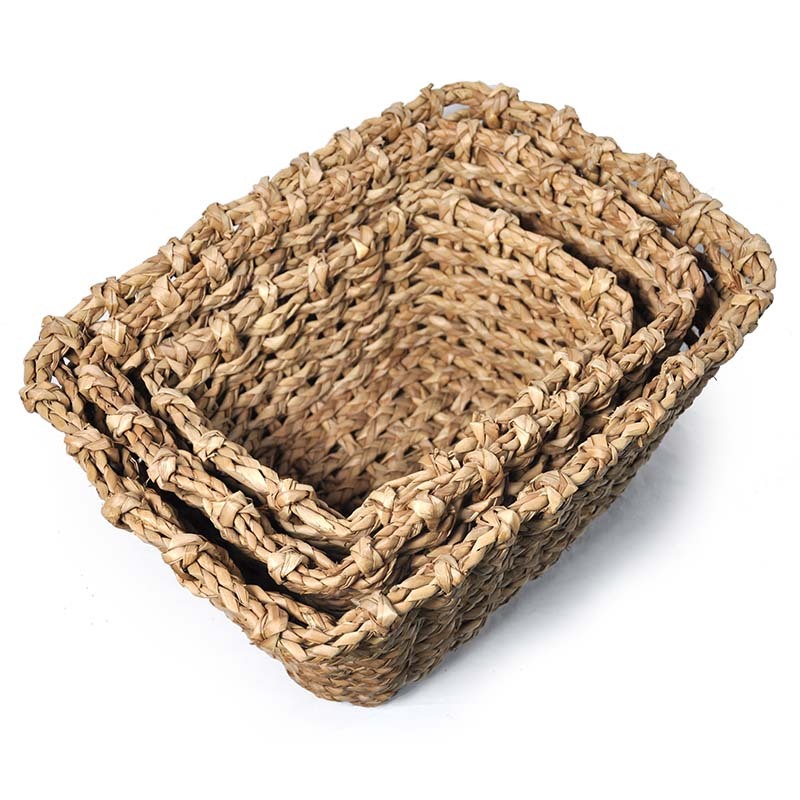 Product Note: Because these baskets are handwoven out of a pliable material, the length and width of each basket may vary about one to two inches. These were an excellent buy for the money. Love them.